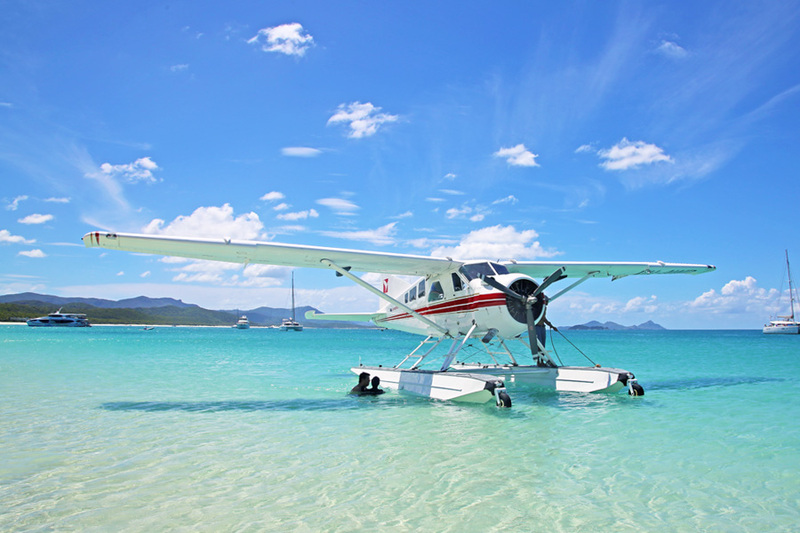 Seaplane Panorama is a signature tour with an amazing way to see the Whitsundays! Witness Whitehaven Beach, Heart Reef and the Great Barrier Reef and enjoy the opportunity to capture amazing photos and form life-long memories! The Seaplane Panoramic Tour is a truly sensational day of excitement, fun and awe. You will not believe your eyes as you soar above the picturesque islands, the infamous Whitehaven Beach and the beautiful Great Barrier Reef. During your half day tour, you'll get to enjoy not only a private tour on our glass bottom boat to see the corals of the Great Barrier Reef, but also a visit to Whitehaven Beach, amazing snorkelling, and the best views from above. Your tour will give you the chance to see all the top locations in the Whitsundays, combining the Reef Adventure tour with the Whitehaven Experience for one unforgettable day. Two hours at Air Whitsundays private glass bottom boat, with one hour of coral viewing and relaxing and one hour of snorkelling in a private sheltered lagoon. See the absolute best this region has to offer in a half day tour, enjoying the sparkling expanse of the Whitsunday Islands National Park and the Great Barrier Reef Marine Park from the air, on the land and under the water. Don't miss out on this once in a lifetime opportunity to create incredible and unique memories from high in the sky, at the Great Barrier Reef and on one of the world's finest beaches! "From start to finish this was an amazing experience. Very friendly staff, from office, the lovely Amanda, to the pilots Angus and Simon, very professional and informative tour. This tour has been the highlight of our stay here and highly recommend, it is just spectacular, the only down side, not long enough!" "Our first family trip out to the Great Barrier Reef. Spectacular day out with the Seaplane trip over the reef and a breathtaking stop at Whitehaven beach This was one of the best experiences we had and the team was very professional and very well organised. Highly recommend the tour and it was worth every worth every cent we paid!"